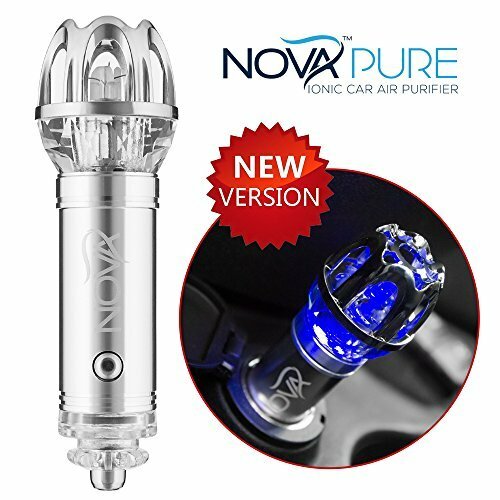 PROVEN PERFORMANCE: NovaPure is a state-of-the art in-car air purifier that offers proven filtration of fine particles, toxic gases, and reliable odor elimination. 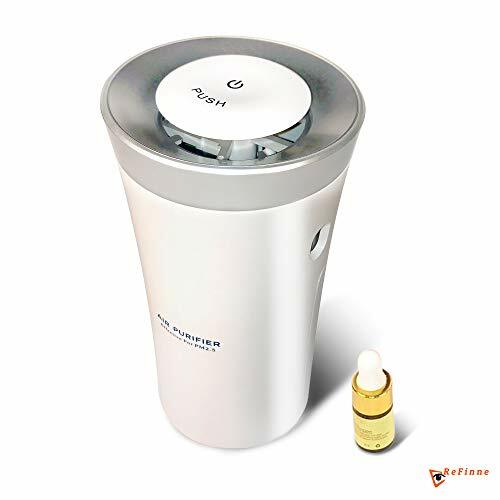 Most other "purifying" products simply cover up unpleasant odors, while NovaPure ionizer effectively removes nasty smells and smoke, truly purifying the air from an array of chemicals and harmful PM2.5 particles. DECONTAMINATES & FRESHENS: Don't be fooled. Shutting the windows doesn't help. Outside chemical pollutants and harmful gases (like benzene), micro particles, dust, pollen, viruses, and bacteria can still reach you through your AC system. 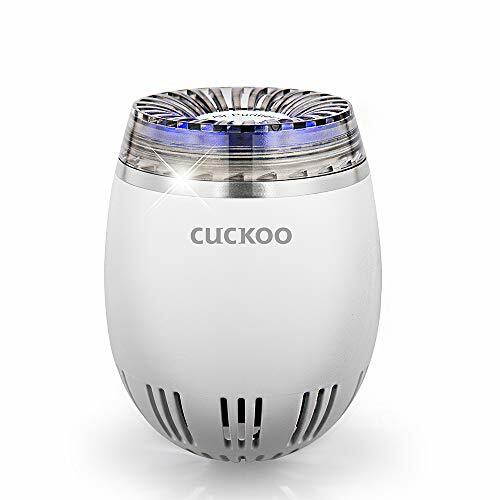 This powerful device will both decontaminate and refresh the air in your car and eliminate up to 99% of these nasty particles and stale odors, creating a better environment for you and your family. 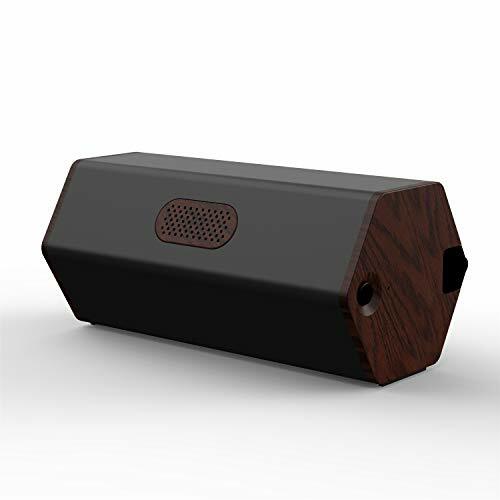 POWERFUL NEGATIVE IONS & OZONE GENERATOR: NovaPure is an efficient ionizer that generates 4.8 million negative ions per cm3 as well as safe amounts of ozone, to make sure that you're breathing the best air possible, even in heavy downtown traffic. 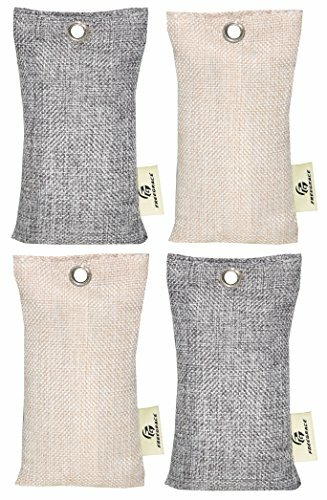 A true investment in your health, it's a must-have accessory for everyone suffering from allergies or respiratory conditions. 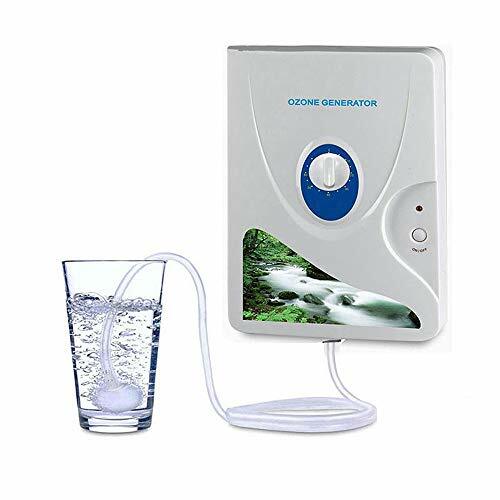 STYLISH BLUE LED INDICATOR: A blue LED light indicator turns on while the purifier is in use, so you can be sure that this silent ionizer is working for you while en route. 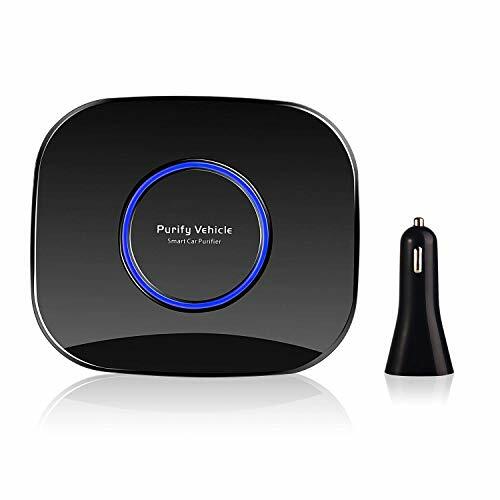 Installing the purifier takes just seconds; simply plug it into the car cigarette lighter and you can set off on your journey with peace of mind. Bringing you crisp and healthy air in your car is the All-new Sinde 4-in-1 Air purifier that comes with FREE plant based Lavender essential oil. 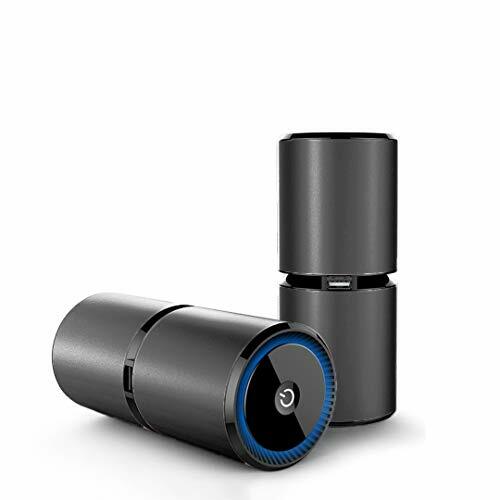 Unlike any other car purifier this purifier has a highly efficient 4-stage filter system that removes 99.3 % of air pollution particles PM 2.5 and filters air particles up to 0.3 microns. 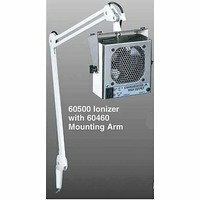 IONIZER releases 5 million negative ions/cm3 rendering medically proven refreshing benefits. Anions neutralize the positively charged airborne particles by killing 99% harmful bacteria and viruses in the air we breathe. 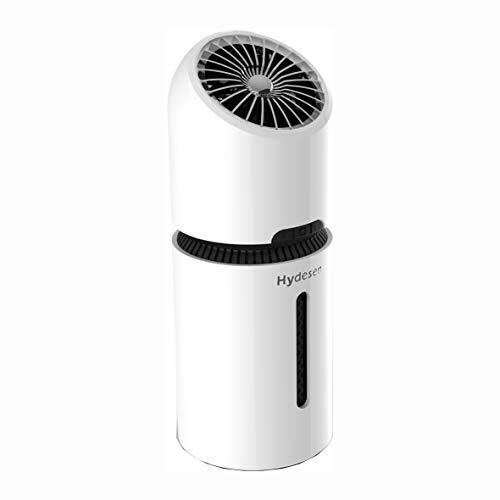 ELECTROSTATIC Nano filter is re-usable, washable and effectively traps particles from pollution PM 2.5, smoke, dust, pets' odor, pollens and allergens. ACTIVATED CARBON filter eliminates bad odor, formaldehyde and toxic gases from air- saving you and your children from inhaling chemicals. AROMA DIFFUSER: You are getting a FREE plant based lavender essential oil. Simply add a few drops of lavender essential oil onto the pad and enjoy hours of lovely fragrance. 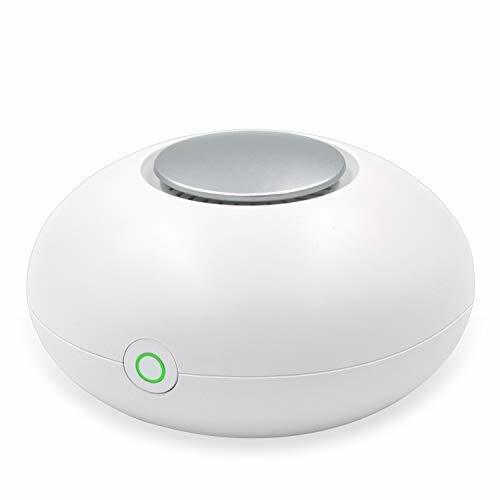 CONVENIENT: Imagine, Pressing one button gets you 4 filters and aroma diffuser running in one handheld, sleek and stylish device. One charge gives you up to 4 continuous hours of wireless use ANYWHERE you go. And there is more: Free Lifetime customer support at no extra cost. Order now! 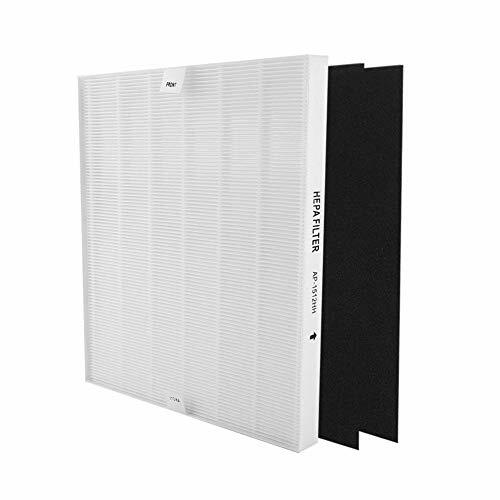 5 Stage Filtration System: Combines 3-in-1 HEPA filter A and 2-in-1 Active Carbon filter B, effectively eliminates 99.97% of pollen, dust, allergies, mold, pet dander, tobacco smoke, household odors and VOCs; filters smaller particles as small as 0.25 microns to purify your air from the bottom to the top. 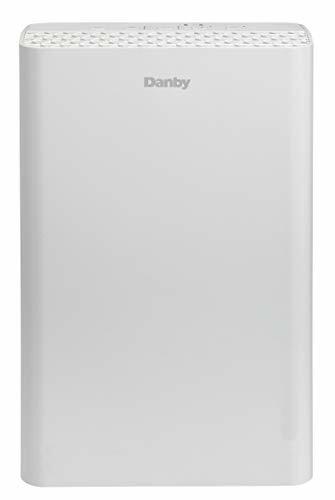 Break Down Harmful Gases: The filter B, used the latest air purification material, breaks down chemical vapors such as formaldehyde, and other indoor harmful pollutants. 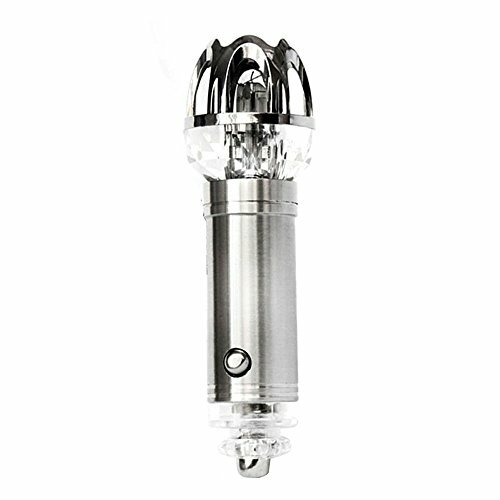 100% ozone free, without UV-C light or ionizer which emits Ozone or byproducts. 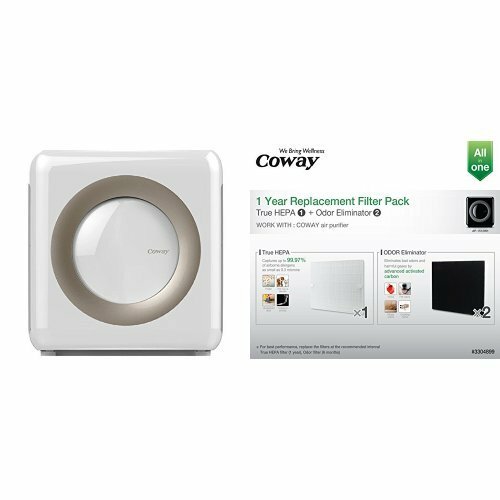 Features include sleep mode, 1/2/4/8 hours timer, child-lock function, filter replacement indicator, 3 fan speeds and automatic shut-off protection if the back panel is removed. Now, you can enjoy fresher and cleaner sleeping and relaxing in your home. Optimal for rooms up to 237 sq.ft (22m²), suitable for medium to large rooms; kids bedrooms, kitchens, living rooms and office spaces. CADR rated 180m³/h, this air cleaner filters and circulates air in the stated room size up to 3 times per hour, refresh your air in minutes. CE, FCC, ETL Approved. With 24 months warranty and lifetime friendly customer support, just be confident to purchase. Note: This machine comes with HEPA filter A (ASIN: B07KC81LCN) and Active Carbon filter B (AINS: B07KCBGRS2). It is recommended to change filters every 6-8 months. Please remove the packages of filters before using. ✔️ EFFECTIVE - designed to efficiently get rid of harmful particles in the air that circulate in your vehicle. 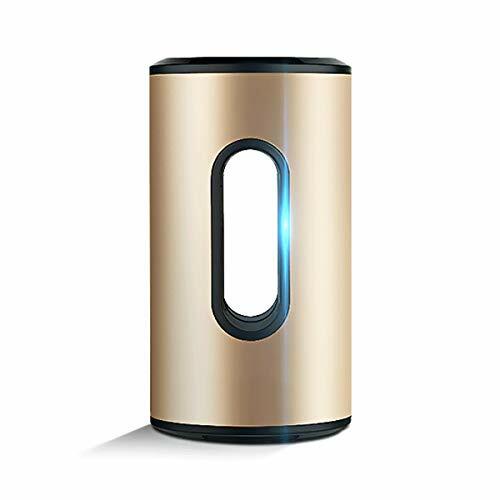 To purify the air, ionic air purifier emits a steady stream of millions of negatively-charged Ions which attack microscopic airborne pollutants and force them out. 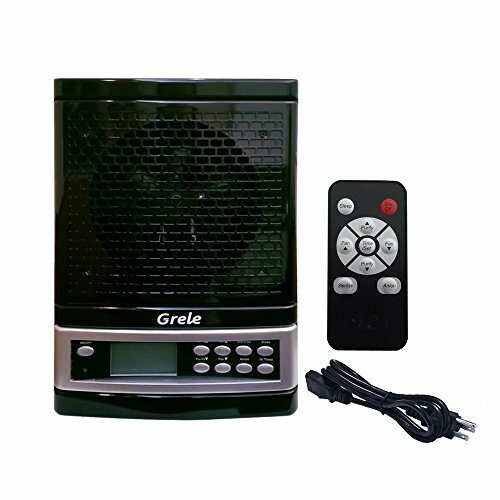 It effectively removes smoke, pet odor, dust, pollen, bad smell, viruses, harmful bacteria, gases and allergens. Ideal for passengers with allergies and breathing problems. ✔️ COMPACT & POWERFUL - It is compact yet incredibly powerful! 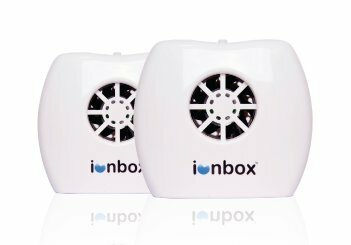 The new latest Ionic technology produces 5.6 million negative ions per cubic centimeter, making it an effective odor eliminator - air freshener - ionizer for any auto such as Car, SUV, VAN, or Truck; as well as RVs. 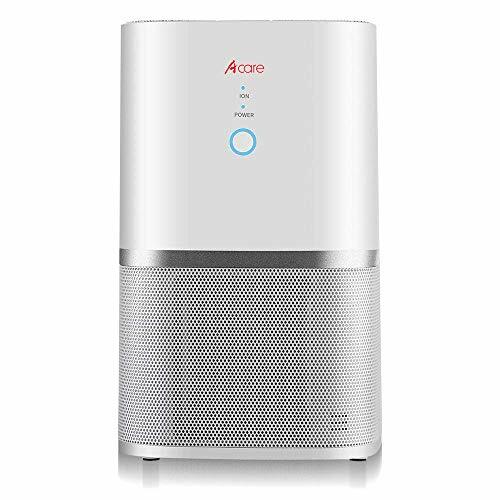 This ionic air purifier destroys odor-causing particles and improves air quality instead of masking odors like typical perfumed air fresheners. ✔️ FASHIONABLE DESIGN - Enhance your driving experience not only by breathing purified, cleaner and healthier air, but also by adding a stylish accessory to your vehicle's interior. Designed with a smooth metal brushed finish and a crystal semi blue LED light adds a modern style to your car interior. It's a great gadget for everyone to have and get the air inside your car purified every time you drive. 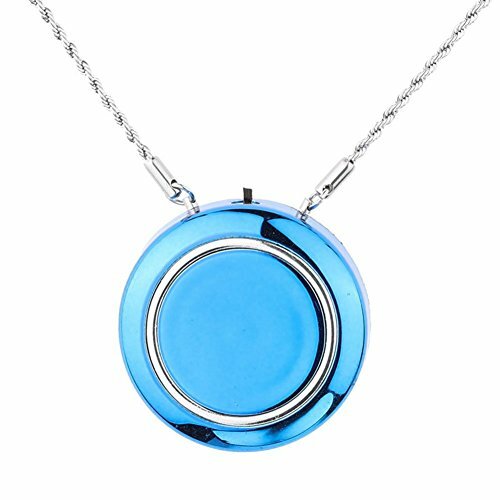 It is also a nice gift for your family and friends. 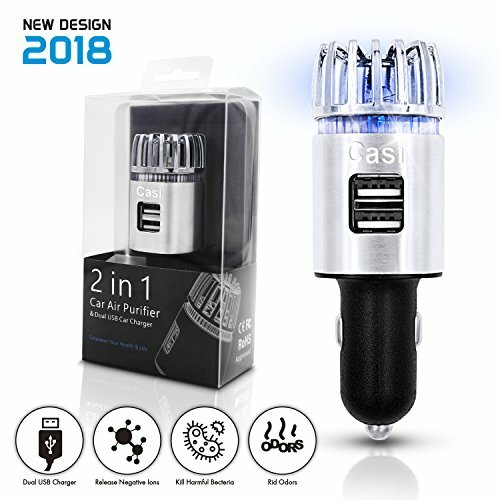 ✔️ FAST DUAL 2.1A USB CHARGER- Dual 2.1A USB ports are provided for charging your mobile phone, tablet & other devices fast and safely against shorts and surges. 【Dual USB port】There are two USB ports on the car air purifier, so you can still charge your devices while the purifier working. 【Quietly operates】The noise of the car purifier is lower 30dB, which is almost not hearing. Give you a comfort place to work or rest. 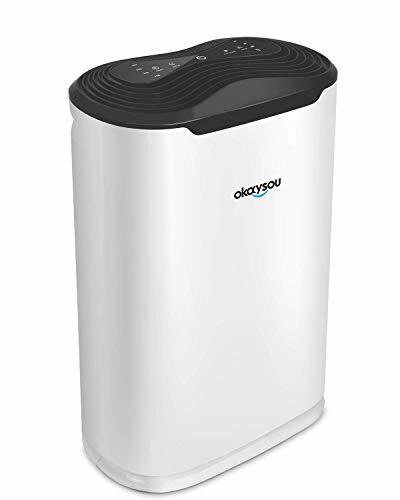 【The best gift for every season】The Rechargeable Air purifier never out of date, a novelty gift suit for all ages, Air cleaner can be use at every moment when place beside you, when you are driving, working in front of your desk, doing yoga, or sleeping in bed. Provide you fresh air and healthy life. 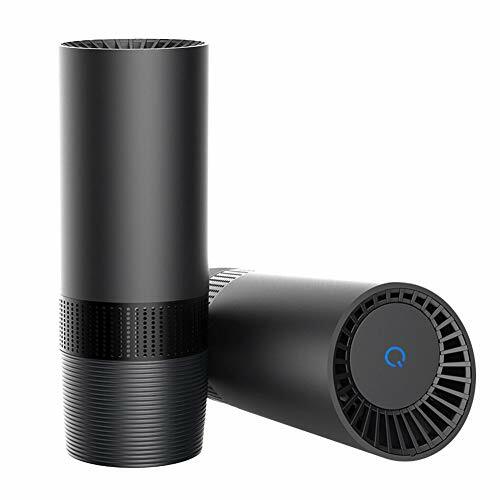 【Captures 99% of allergens】--The car air purifier with True HEPA(High Efficiency Particulate Air Filter), three-stage filtering process that eliminates up to 99% of harmful gases, smoke, bacteria, odors, dust, pollen, pet hair, and other particles from the vehicle. 【Auto - Start Function】--Start car engine and the air purifier will operate automatically, and you don't need to read instructions or do anything. 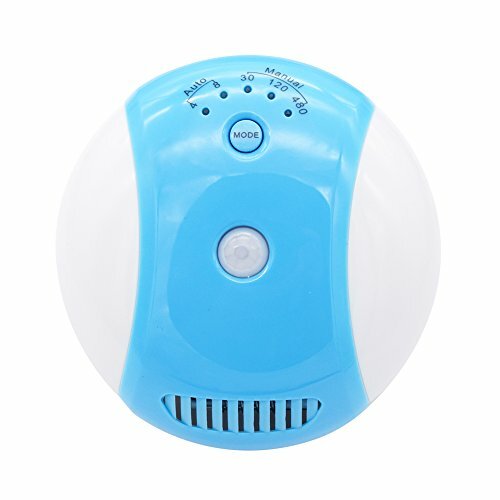 【Powerful Odor Eliminator】--The air cleaner generates negative ions, remove all harmful particles, cigarette, food or pet smell, offering you fresh air all the time. Aroma piece is in the package, you can also add your favorite solid spices or remove it according to your needs. 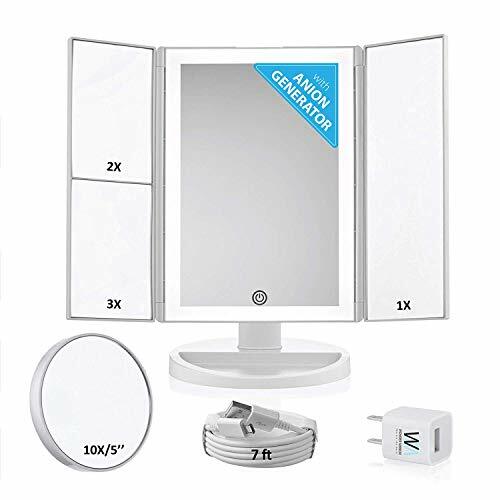 【 Liberalization and Stylish Design】--Powered by USB cable, connected with computer or the charger (Comes with a car charger). 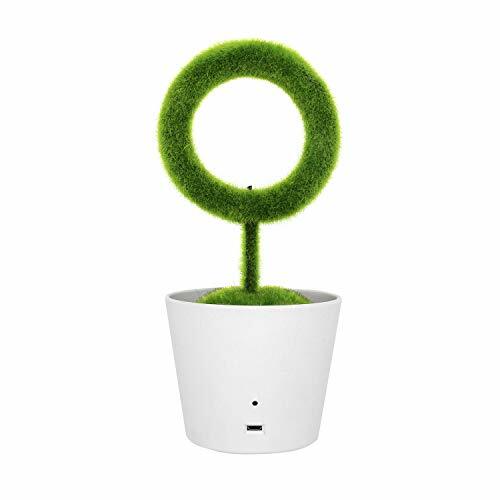 Its small size and modern design make portable and easy to fit in any small areas such as desktop, office, car, pet room, baby room and bathroom. 【 Warranty and Service】-18-month hassle-free warranty. If you need any help, please feel free to contact us via your Amazon order page and click "Contact Seller". We provide 12 hours quick-reply and lifetime friendly customer service to assist you. The filter should be replaced in 3 to 6 months, and our store has this filter. High-grade ozone generator. To ensure that you can remove the smell, the elimination of bacteria and viruses. Applicable to the family, office, boats, cars, hotels and other places. Eliminate Smoke stink, cooking smells, pet urine odors, musty closets, damp & moldy basements and other smell. Helps to eliminate and delay the growth of molds, molds and fungi, and some viruses in the air will be killed. Professional, fine control system. Unique ozone control buttons allow you to adjust the amount of ozone as needed, more flexible. Up to 12 hours of timer button, not 2 hours of the primary version. With the hold button, you can use it for a long time. Humanized design. Specially designed winding box, portable convenience. With air filter sponge, you can purify the air. Improved handle, handle larger, wider, more convenient to use. The bottom of the rubber anti-skid feet installed. 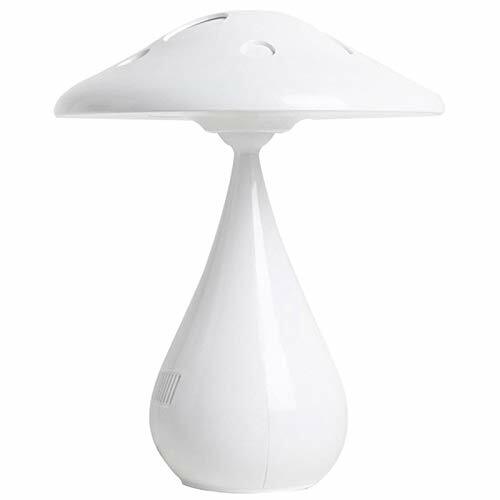 Built-in silent high-quality fan, fan through the CE, UL, RoHS certification. 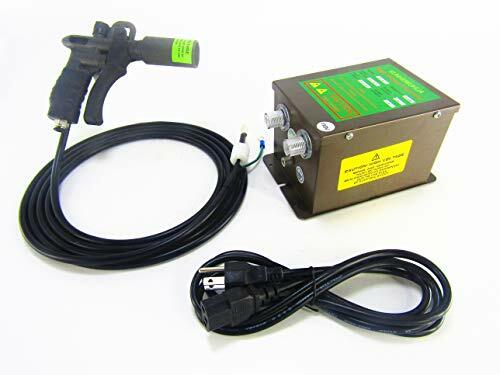 Powerful and stable ozone generator. The use of a large number of ozone disk, compared to the rival's ozone disk, more stable, longer aging, the most critical is not in 1 hour after the generation of nitrides and other harmful gases. So it can run for a long time. Safe, high quality ozone generator. 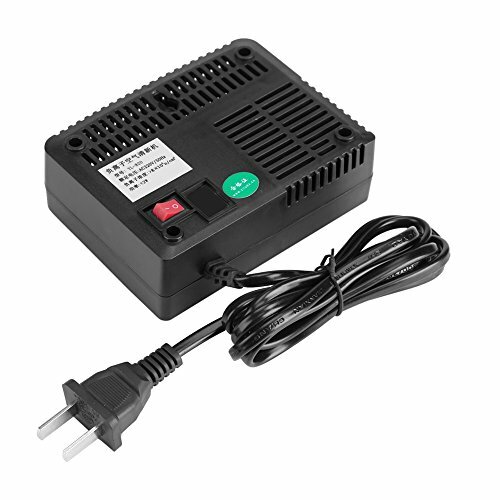 The product through the UL certification, 110V US three-pin plug. All-aluminum body, strong and lightweight, not the kind of heavy metal competitors. 5 years warranty, any problems, we provide repair, replacement and free return of the service, to solve your worries. 6-STAGE FILTRATION: 1. Ozone Sanitizer (2 ozone plates) for pesky odors and mold, 2. 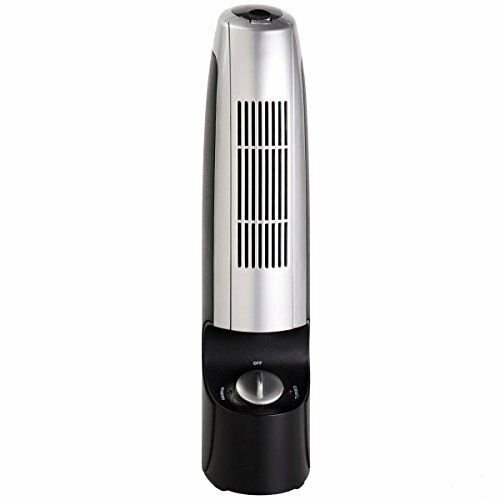 Negative Ionizer for dropping dust and particles out of the air, 3. UV Light filtration for reducing germs, viruses and bacteria, 4. Photocatalytic Filtration for reducing germs, viruses and bacteria, 5. HEPA Filtration for capturing the smallest particles and dust out of the air 6. Pre-filter technology to keep the filter lasting longer time. REDUCES AND NEUTRALIZES: Tobacco Smoke, Residual Odors in Carpeting and Upholstery, Cooking Residue, Pet Odors, Allergens, Chemical Gases and Paint Fumes, Smog and Exhaust Fumes, All Organic Odors, Pollen, Mold and Mildew, Bacteria and Fungus. 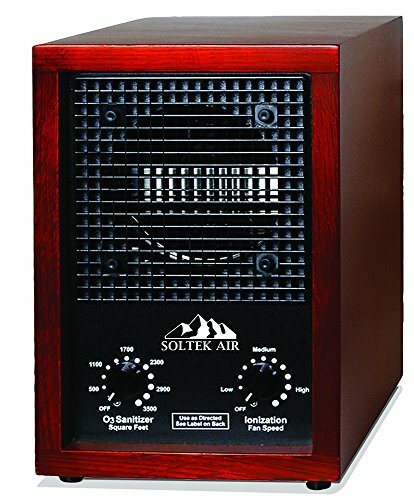 PACKAGING AND SHIPPING: Soltek Air 3500 Pro Air Purifier shipped double boxed and professionally packaged for safe delivery. A good replacement for the old and used one. -- Low noise, energy saving, remove vacteria, dust effictively and keep the air fresh. -- Bring you a fresh environment like forest with high concentrations fo anion. -- With the hidden power indicator light, not too dazzling to disturb your rest at night. -- With small and stylish appearance, can be placed in the office, study, life and working places. PLASMA IONIZER w/ NO FILTER CHANGE - Produces 1,000,000 Ion/cc continuously. 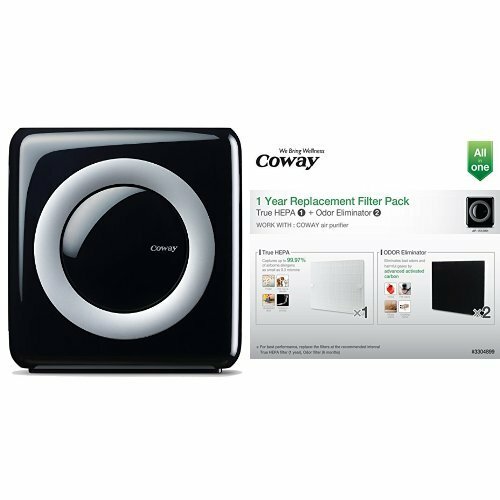 There is never an additional cost or filter change required during the entire lifespan of the Air Q. Enjoy purified, clean air without the hassle and cost of filters! BACTERIA AND VIRUS REDUCTION - Kills at least 99.8% of commonly occuring virus and bacteria such as Salmonella, Staphylococcus Aureus, Pseudomonas Aeruginosa and E Coli. Keep the air of your home/office free of sick agents and rest easy knowing your cooking surfaces and tables will not carry these common germs. DESTROYS HARMFUL GAS - Eliminates at least 99.5% of Ammonia, Benzene, Formaldehyde (common household pullutant), Toluene, SO2 and NO2. Cars/trucks/buses burning fuel is a primary cause of NO2 pollution - Air Q helps you breathe fresh air on your commute! AIR PURIFICATION AND ODOR REMOVAL - Negative ions purify the surrounding air of mold spores, pollen, pet dander, odors, cigarette smoke, bacteria, viruses, dust and other hazardous airborne particles. Excellent for the kitchen, car, bathroom or bedroom! USB POWER CONNECTION - Perfect for the car, desktop or bedside. Take this wherever you want pure air and have access to USB power. Easily take it on the go with a USB powerbank! 【POWERFUL ODOR ELIMINATOR】 Absorbs smoke, dust, bacteria and other harmful particles. The Ozone particles then remove cigarette smoke, food smell, and foul odors left behind by pets, sweat, and exhaust. 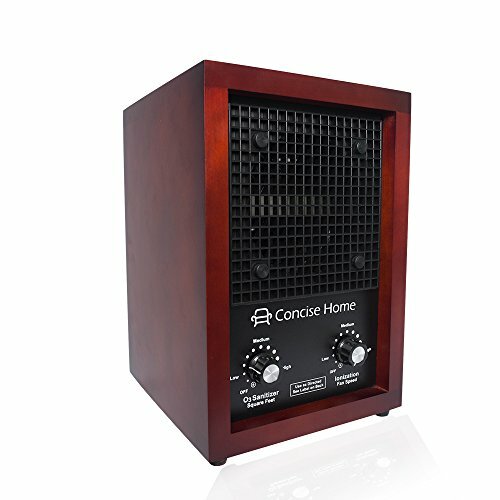 【IONIZER TECHNOLOGY PURIFIES AIR】 With a measurable and controllable quantity of negative oxygen ions, this compact unit destroys bad odor effectively getting rid of smoke smell and other stale odors, neutralizes contaminants like mold, bacteria and viruses purifying the environment helping you breathe easier. 【SPACE AGE FUTURISTIC LOOK CAR ACCESSORIES】 The Glossy Design couples with crystal shaped blue LED adds a modern and fashionable look to your car interior.A stylish blue LED light indicator can be sure that this silent ionizer is working for you while on travel. 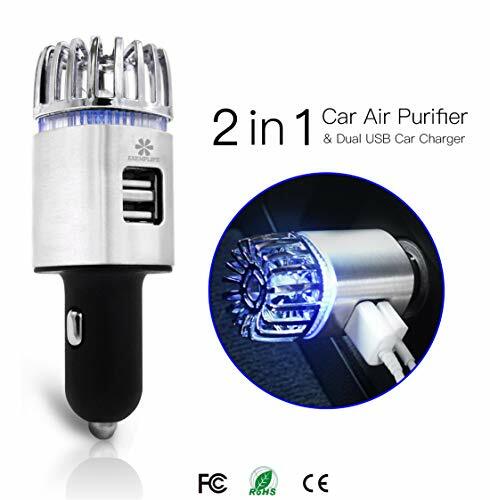 【WORLD-WIDE ACCREDITATION and ENVIRONMENT FRIENDLY PRODUCT】 This car air purifier is CE (Compliant with all health, safety and environmental requirements in the European Union) , FCC (Federal Communications Commission) and RoHS ( Restriction of Hazardous Substances) certified. 1. Two output interfaces, neutralizing static electricity quickly. 2. The airflow speed is 10m/s, and the ion airflow covers a large area. 3. 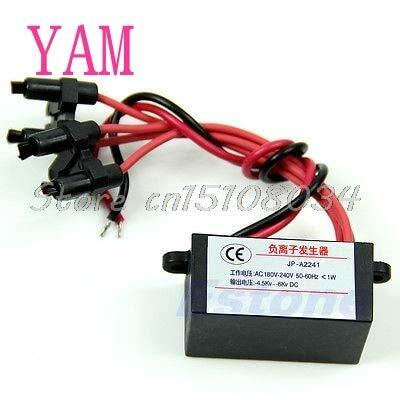 The air volume is 3.5-5.3CFM, the wind speed is strong, and the static elimination speed is fast. 4. It is suitable for static elimination caused by chip handling, combined installation engineering, part processing, and static elimination of workshop mold and substrate. Easy to use and carry, suitable for travel. Super mini, compact and modern design. Decomposing indoor smokes, smell, etc. For example, smoke, restroom smell, etc. High battery capacity with 3350 mAh. USB port plug recharge way is convenient, no matter in auto or room. 2 Speed levels (low and high) provide options for various conditions. Working noise lower than 30 DB. Unique size and contemporary design. 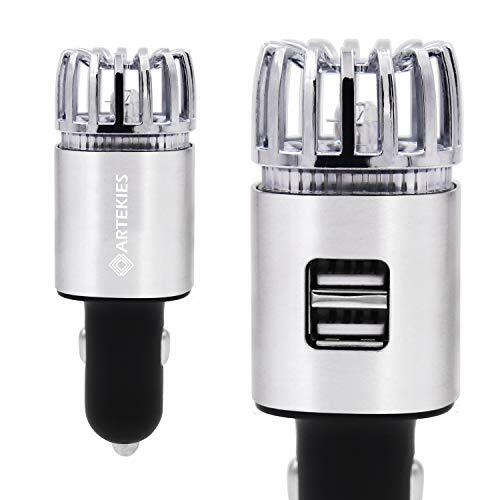 Not only perfect fit in car cup holder as a car air purifier, but also great for carry with as a travel size air purifier for small room. The fantastic gift for family, friends, and office mates. 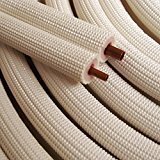 R410: Can be used in applications where high-pressure gases are used as a refrigeration source. UV resistant: This product is UV resistant and has been successfully tested internally for UV resistance for a minimum of 3 years. 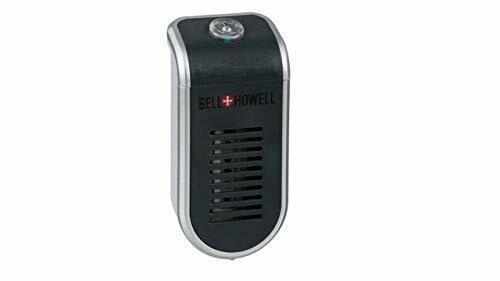 PORTABLE AND EASILY OPERATED:This device works by activating oxygen and negative ions to eliminate harmful bacteria and filter air, and its efficiency is over 99.7%. 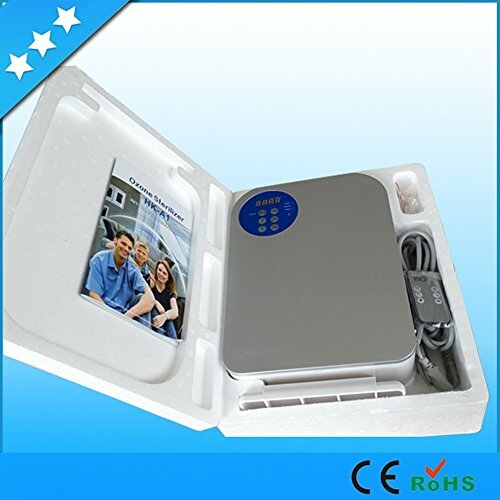 Mini compact size is very suitable for travelling. 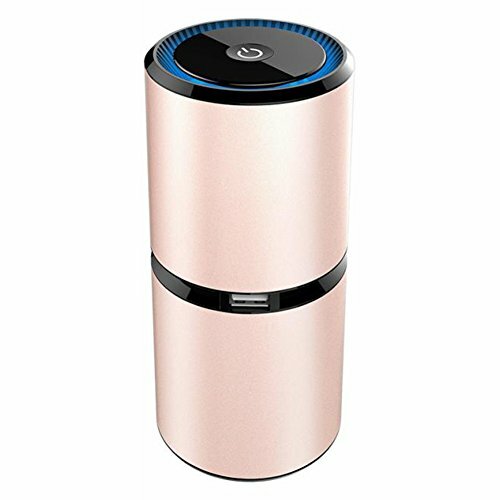 BODY SENSING SYSTEM: In the auto mode,when people is approaching the air purifier it will stop working automatically.In manual mode, the induction system does not work. NO FILTER NEEDED: Airborne bacteria and odors can be elimiated by using lonic air purifiers. Ozone generators won't produce any chemical smells that makes it different from other purifiers, so there is no need to require a filter and clean. TWO WORKING MODE. Auto and manual, two mode can be choosed. In the auto mode, you can set it to recycle '4 minutes on/4 minutes off' or '8 minutes on/8 minutes off'. 30, 120, 480 minutes can be set separately as you need when in manual mode. APPLICABLE PLACES & EFFECTS: Public and home( especially suit for bathroom ), also can be used for the pets' rooms. 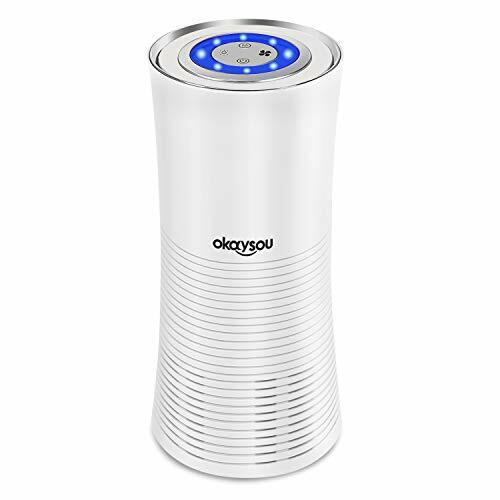 This air purifier can refresh air and provide a healthy environment. ♻️SATISFACTION OR YOUR MONEY BACK - Comes With Instruction Manual And 1 Year Manufacturer warranty. 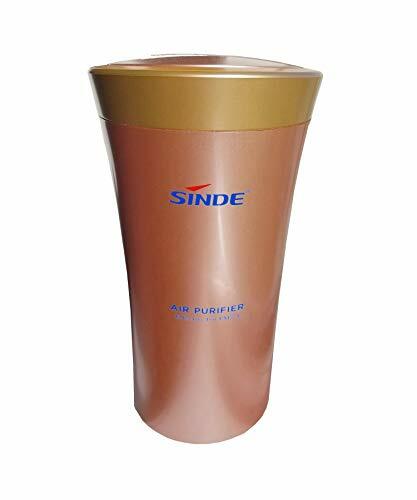 You'll Absolutely Love Our Powerful Refinne Air Purifier by Sinde. But If You Are Unhappy With It For Any Reason, Send It Back Within 30 Days, We'll Buy it Back With No Questions Asked! Get Yours BETTER FRESH AIR "Add To Cart" Now! 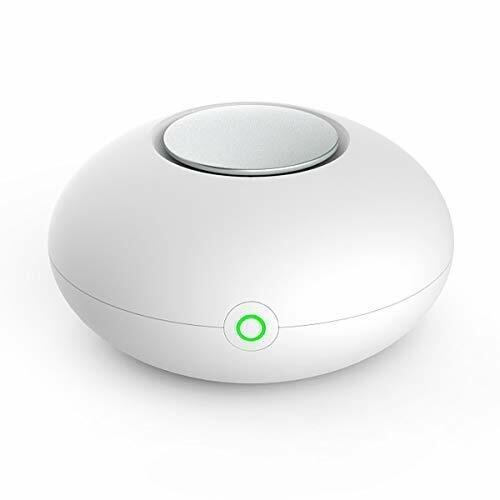 ♻️POSITIVE EFFECT ON YOUR HEALTH- With Suitable area 10-12sq ft, Produces Therapeutic Levels of Negative Ions While Keeping Ozone Levels Exceptionally Low with Pollution of Pm 2.5. Build With True E Nanotechnology that are known to work 5x better to Remove 99% of all Airborne By Triggering up to 8million Negatively Charged Electrons that Statically Attracted to Airborne Particles Like Dust, Mold, Odor, Pet Danders And Other Pollutants And Potential Allergens. Great and Safe For Pets & Children. 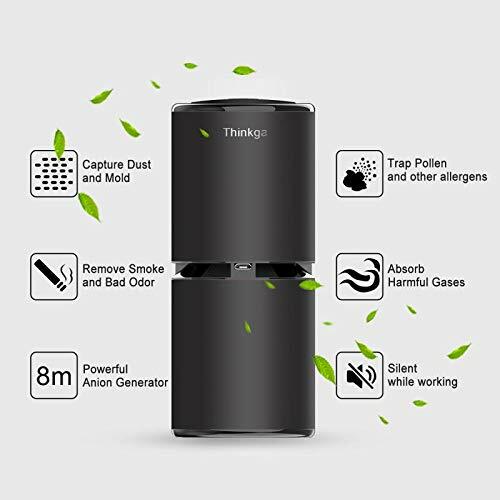 Updated Version of Thinkga 1 Gen Air Purifier. Release 8 million ion per time, refresh the car air in 5 minutes. 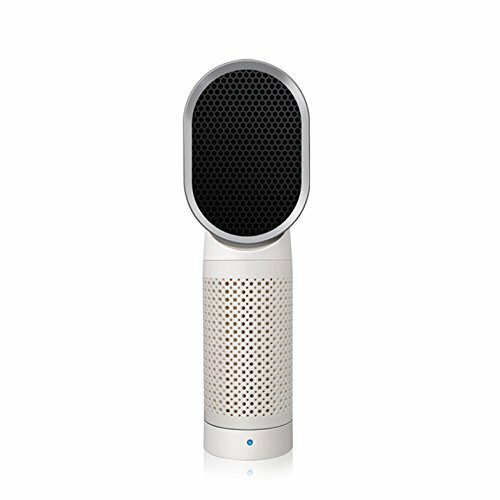 Ideal for air purifying. 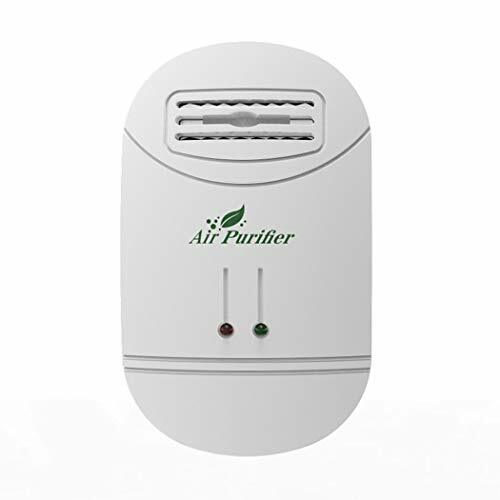 Helps get rid of smoke, dust mites, pollen, mold, pet dander, as well as other small particles and pollutants. Auto-Operating. Connected the car air purifier to the car cigarette lighter, the device will automacticaly function as the car start up. Fantastic gift. 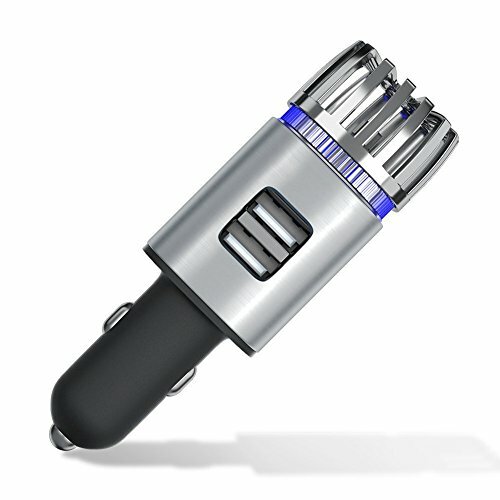 Perfect fit in car cup holder as a car air purifier, and also great for carry with as a travel size air purifier for small room. A fantastic gift for family, friends, and office mates. 1.Agriculture chemical detoxification for fruit and vegetable: kill bacteria, keep fresh, eliminate bad smell and reduce hormone. 2.Skin care beauty: activation of skin cells , speckle removing ,prevention of halitosis and tooth cavities ,skin disease and so on. 3.Water purifier : water treatment for decolonization and fishy removal. 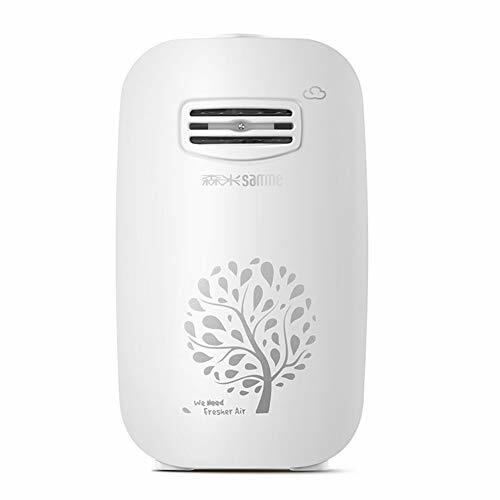 4.Air purifier : kill bacteria ,disinfecting ,eliminate bad odor ,especially in household and office area. 5.Works in a natural way, without any chemicals. 100 g (4 Pack) Total Net Weight: 0.881 Lb | ✔ THE ONLY COCONUT SHELL ACTIVATED CARBON ON AMAZON: You can go on and forget everything you knew about air fresheners so far. Coconut-shell activated carbon is all natural, FRAGRANCE-FREE, and absorbs moisture, allergens and unpleasant odors like a sponge. In fact, it's up to 3 times more potent than similar bamboo charcoal deodorant products!